It is important in this social media based world we live in for all businesses, big or small, to have a presence on social media sites. It doesn’t matter if the company has a website or not, social media is a great marketing tool and it is free so it only makes sense to have one. It is even more important to have social media accounts in order to build up your SEO ranking if you have an online business or you support your brick and mortar business with a website. Small businesses can benefit the most from having a Twitter account. 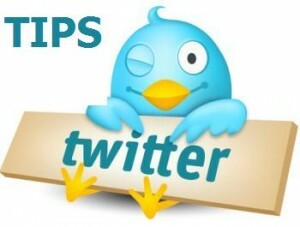 The following are some tips for small businesses on Twitter. While you want to remain professional, it is still a good idea to show your personality so your followers can see you are a real human. Many businesses think that they shouldn’t worry about this aspect of Twitter but you are missing out on a great opportunity to get more followers. When people see you’re just like them they are more inclined to keep following you. If you seem standoffish or try to sell too much then you will lose followers. Unless you buy your followers to boost your numbers, you need all of them you can get! The more followers you have the better your SEO rankings are so let your hair down and get personable. One thing about gaining more followers is to simply start following people you know in order to bring up your count. The benefit of this is if they have a wide range of followers on their timeline, you can follow them and hope for them to follow you back. That is one of the courtesies of Twitter; those who follow tend to get followed back in return. You can also privately ask your friends to ask their followers to follow you so you can build up your list. Whatever you do don’t ask for followers on your timeline because that seems pathetic and some people will drop you for it. Ask on the down low and you’ll get more followers that way. Now that you’re on Twitter and you’re getting more followers and you know how to tweet and are having fun, it’s time to promote your Twitter account. Make sure that you put a link to your Twitter on your website so people can follow you directly from there. Also, put it on your email signature and on your businesses cards too. This way, you can get more followers without really doing much work to get them. If you have a brick and mortar business, create a QR code so your customers only have to scan with their bar code reader to follow you. Have a social media presence is vital for any business and small businesses in particular can benefit from it. Make sure you show the personal side of the business and promote your Twitter account as much as possible. About Author: Ryan Sherman has been helping small businesses to build up their social media presence for three years and is now writing about all social media sites. Is Your Company Ready For A Dedicated Server? Hi there! I could have sworn I’ve visited your blog before but after looking at many of the articles I realized it’s new to me. Regardless, I’m certainly delighted I stumbled upon it and I’ll be book-marking it and checking back frequently! It is really a great and useful piece of information. I am happy that you simply shared this helpful info with us. Please stay us informed like this. Thanks for sharing.